It’s been said that believers are most like Christ when they are humble. If that’s true (and it probably is), then humility is the quality believers should zealously pursue in their quest for Christlikeness. Yet, because of indwelling pride and selfishness, this pursuit of humility is a daily battle and one that must be waged relentlessly. To aid us in this battle, CJ Mahaney has provided us a roadmap to humility which is both convicting and practical. After addressing the perils of pride, he describes the humility of our Savior and His secret of true greatness. Eight chapters which prescribe the practice of true humility and how we can daily slay our selfishness conclude this wonderful little book. Are you like Christ? 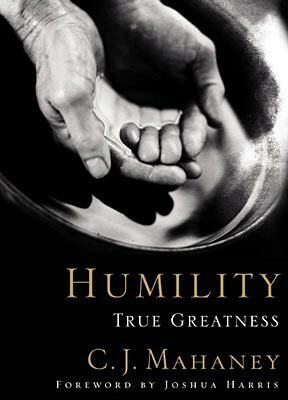 One way to know is to ask, “Am I humble?,” because God is opposed to the proud but gives grace to the humble. I invite you to pick up this short, easy to read book and embark upon the pursuit of humility which invites the grace of God into your life.